Here at Dawnvale, we’re always delighted to bring our bar design expertise to the residential space. We’re often asked to design bars for private clients and these projects are always a fun challenge to work on. 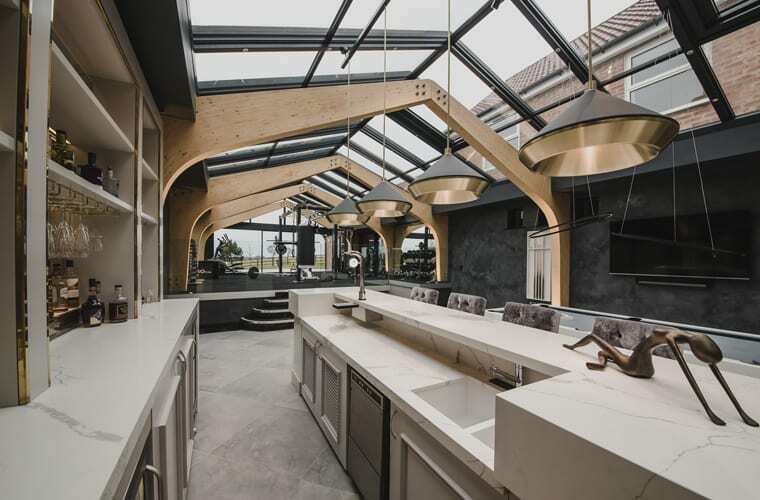 We recently completed a truly stunning home bar project in South Cove, Suffolk turning what was an extension to the original property into a dream entertainment room complete with a stylish bar that wouldn’t be out of place in a luxury venue. The interior of the property was designed by Brawn Design and has a light, airy, modern feel that perfectly offsets the sublime bar. The bar exudes luxury with expansive white marble top, brass foot rests and under top lighting. Elegantly decorated white timber surrounds the bar and antique effect mirrors are perfectly framed by brass and matching stemware racks. This creates a stunning, nicely lit display to make a focal point of the spirits and liquors available. 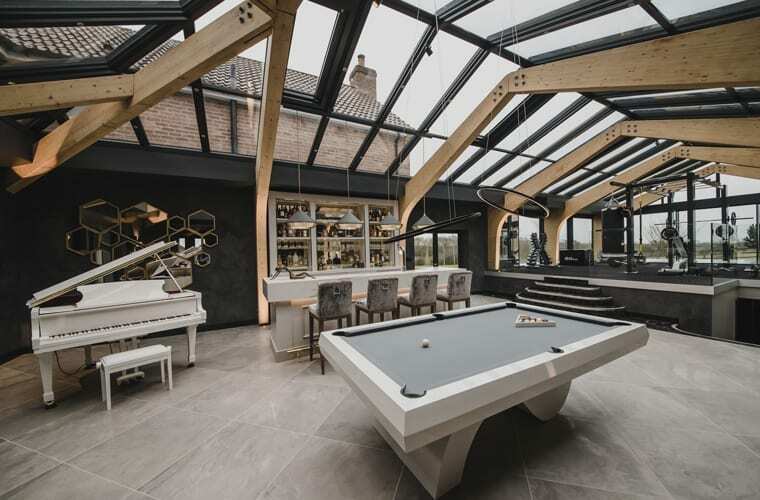 The client wanted a space that would allow them to entertain their guests at home in total comfort and luxury, meaning the bar is designed to an exacting specification and marries form and function perfectly. Space on the back wall, beneath the display has been used to accommodate two fridges and cupboards for extra storage, meaning everything the host could possibly need is conveniently at hand to serve guests throughout the evening. 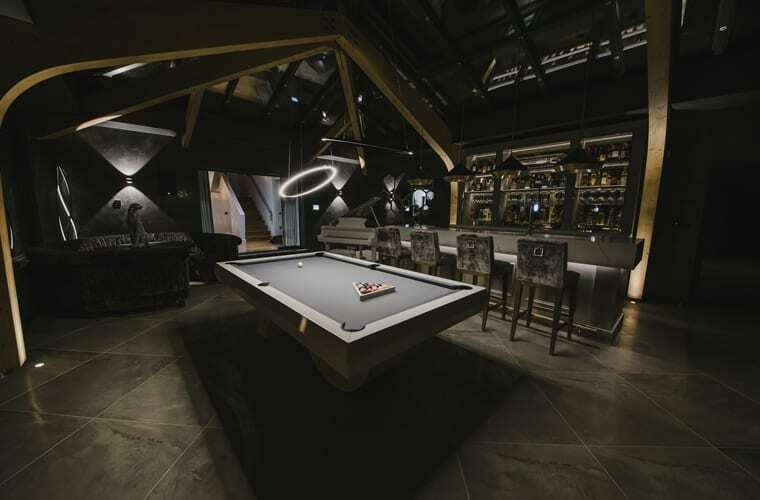 Spacious, stylish and luxurious, the bar area is sure to add a wonderful touch to any event, whether it’s a special occasion with family or a relaxing evening playing pool with friends. 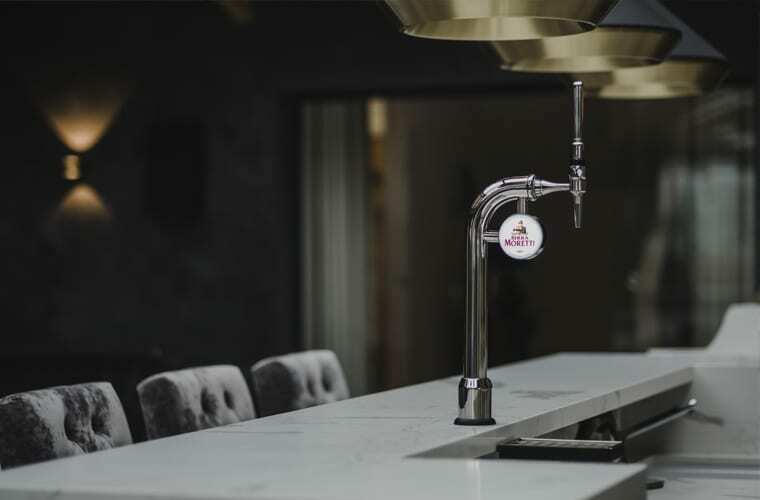 For the beer connoisseur, we positioned a sleek Birra Moretti draft beer pump and compact drip tray atop the bar, bringing the satisfaction of a hand pulled drink from the pub to the home. Below this is a glass wash and further along is a sink to make cleaning up after a gathering quick and simple for the host. Dawnvale completed this home bar installation within one week. The space was completed with tasteful decorations and furnishings, sourced by Brawn Design. 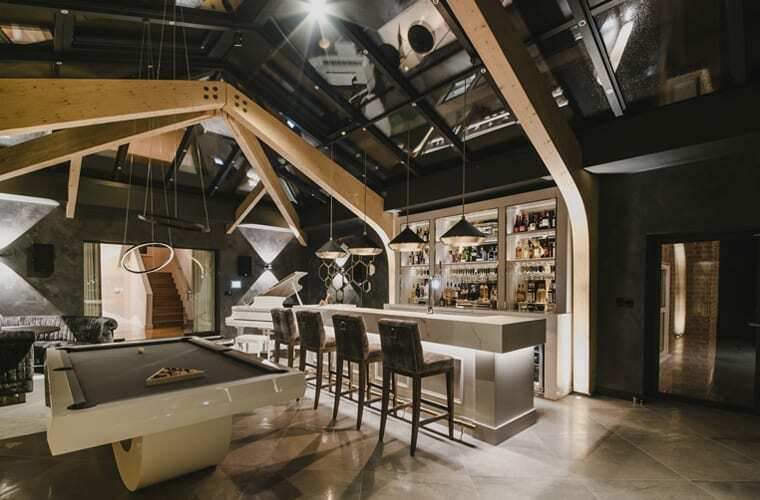 Four stools and overhead lighting perfectly compliment the bar and face a ‘Picasso’ pool table by Liberty Games, situated next to an impressive piano. Everything in fact that the host could need to throw a stylish gathering or enjoy a relaxed evening with friends without having to leave their South Cove sanctuary. If you are interested in a home bar design for your home, contact us on 0161 684 7879 or send us a message.